Join us for this great event and get ready for a summer of fun and paddling! Paddle Smart from the Start! Know what you need to know before you go! Try a rescue in the pool. 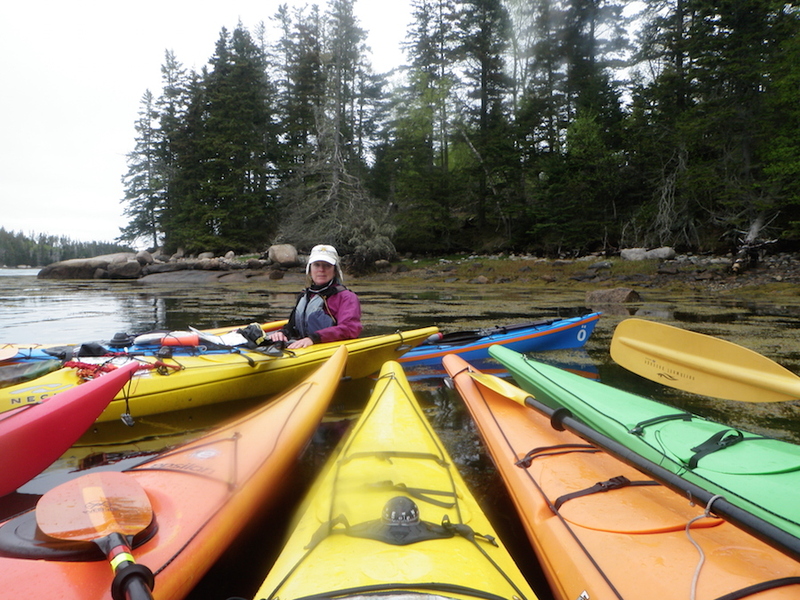 Contact Castine Kayak for details! 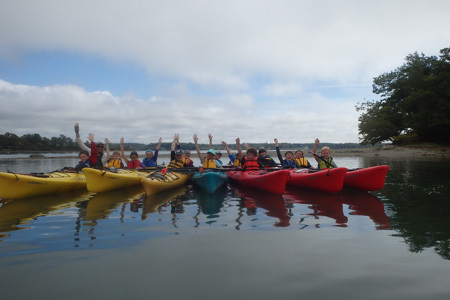 (Great chance to explore differences between canoes and kayaks!) JUMP START YOUR SUMMER SAFELY! Shorten the learning curve and get geared up for a summer of fun. 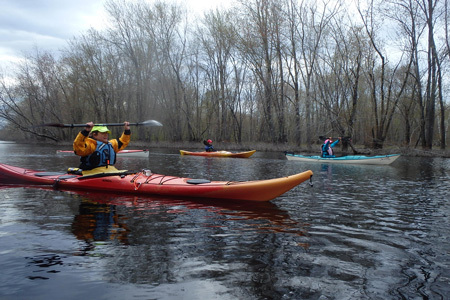 Anyone can make a boat move but in this afternoon paddle on serene Pushaw stream we'll go over the skills necessary to make your boat (canoe or kayak) dance over the water whether its calm or windy. We'll cover basic boat fit and basic strokes and then progress to some advanced techniques that will allow you to take in the scenery when you paddle instead of focusing on getting your boat to stay straight! We'll cover efficient paddling forward and reverse and turning strokes and then focus on using your entire body to become one with your craft. 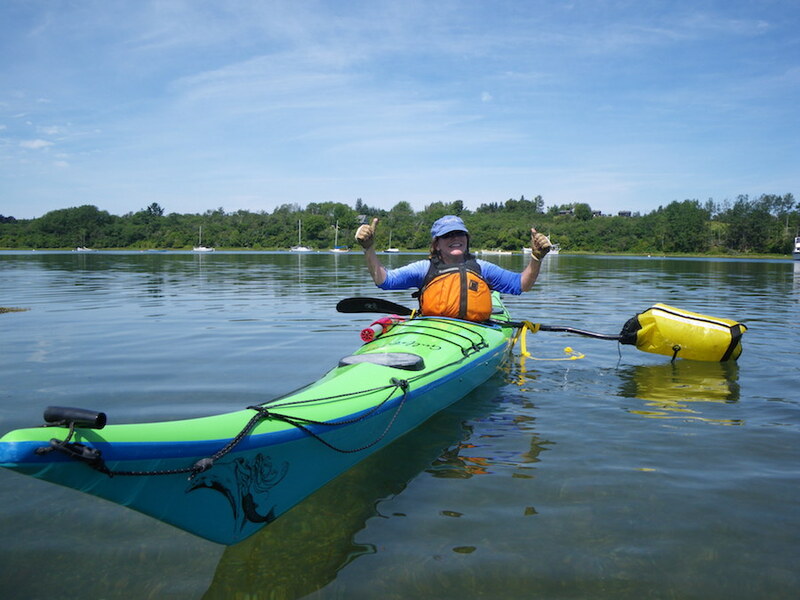 We'll explore the grace of bow and stern draws, sculling strokes and side slips to move sideways and edging to really have your kayak gliding gracefully through the water for a great summer of paddling for serenity, exercise or both! Fee: $105 w/gear, $125 gear provided REGISTER NOW! 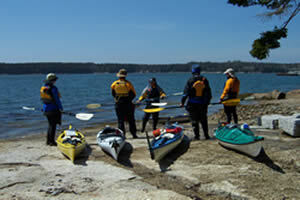 Coastal Kayak Basic Strokes and Rescues course is designed to introduce basic coastal kayaking skills and safety. In this course we'll fine tune stroke efficiency and focus on specific strokes for conditions. Re-entry rescue techniques will be practiced! This course will help you to fine tune the skills that you have and take the next steps to stroke refinement to increase efficiency, fluidity and control. This is a course you may want to take repeatedly as you'll gain new improved skills each time! conditions including tidal currents, wind and waves. We'll fine tune your paddling skills to take them to the next level preparing you for a long season of exploration. 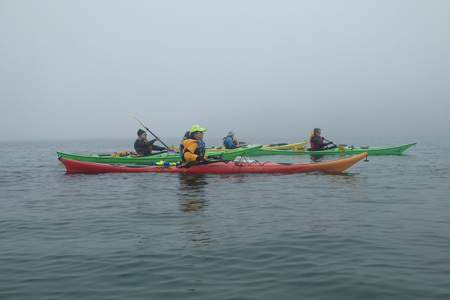 The Open Water Coastal Kayak course is designed to refine and increase coastal kayaking skills for use in open water currents, wind and waves. We'll practice a variety of skills including rescues at sea. Sunday July 29, 10-4 (other days available with pre-scheduling! Join us on a full day journey and put your skills to the test. This is a chance to assess your level and determine what you are ready for next! Being a safe kayaker means preparing for the worst case scenario! 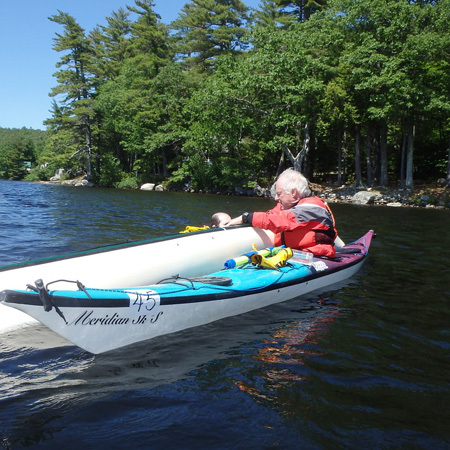 In most cases in Maine that would be a capsize into cold water and the key to safety is knowing how to get back in your boat out of the water!The quickest and most efficient rescue is the Eskimo Roll. 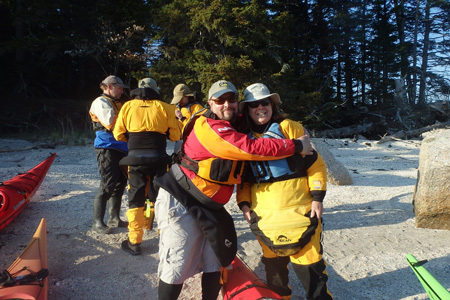 You'll learn a variety of assisted eskimo rescues that allow you to stay in your boat. Enhance your boat maneuvering skills while focusing on all the components of the roll. 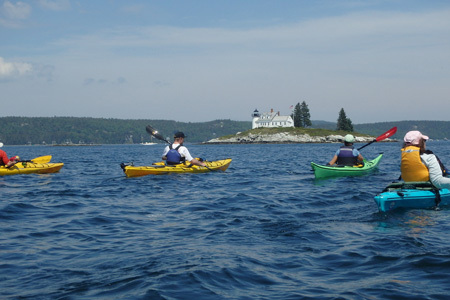 Check for summer hours in Castine! Do you really know what to do if your kayak capsizes??? Get ready for a season of safe paddling. 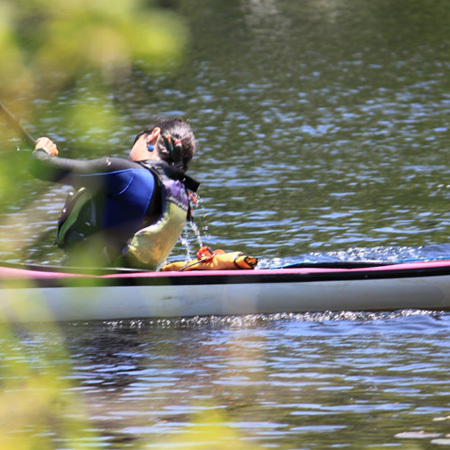 Learn how to respond to your own capsize or your paddling partner’s. Discover what your options are for re-entering your kayak from the water. We’ll cover self rescue techniques and partnership rescues. Find out what equipment you should have with you for your safety kit to make every paddle a good one! A Kayak Capsize and Rescue Workshop will be offered 12:30-2:30 pm. To be an independent kayaker an essential skill is self and partnership rescue! Be ready for the unexpected. Learn what you need to know to be a safe paddler so that you can explore in comfort. We'll practice wet exits, partnership rescues and self-rescue methods. Special festival price is $25 per person. 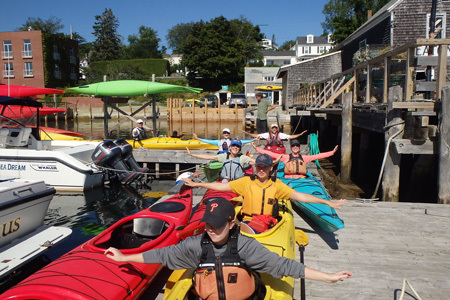 (Great chance to explore differences between canoes and kayaks!) with Hirundo Wildlife Sanctuary Know what to expect when the unexpected happens! This clinic will cover what can cause a kayak or canoe to capsize and what to do to recover from a capsize! Plan to get wet in the warm waters of Pushaw Stream! We'll be exploring T-rescues and other options for canoes and a variety of rescues for kayaks including self rescues with Paddle Floats and Rescue Stirrup and pump as well as partnership rescues so that you can be prepared when you go adventuring with your friends! Learn what rescue methods work best for you and you boat! You'll leave this clinic knowing what to bring with you to insure a fun/safe time on the water. Prepare for the worst and enjoy the best! This course is for kayakers who learn best by implementing and practicing what they are learning. This course will take place on the ocean and includes an overnight camping trip for truly well rounded experiential learning. Test scheduling will be arranged. 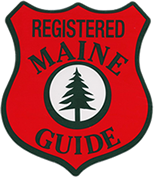 Additional Fees: Guide Application Fee, $100 paid to the State of Maine for testing which allow one to test for multiple classifications. 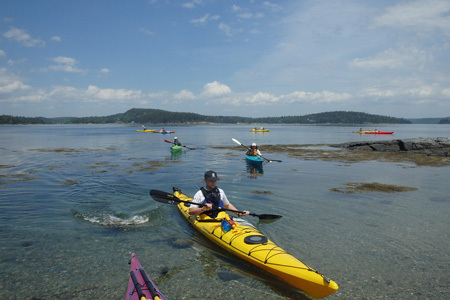 * Maine's Sea Kayak Guide license allows for guiding on marine waters of Maine up to head of tide. 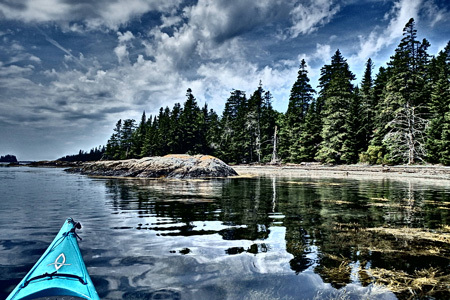 Overnight camping inclusion with sea kayak license. WFA is the perfect course for the outdoor enthusiast or trip leader who wants a basic level of first aid training for short trips with family, friends, and outdoor groups. It focuses on the basic skills of: Response and Assessment, Musculoskeletal Injuries, Environmental Emergencies, Survival Skills, Soft Tissue Injuries, and Medical Emergencies. Personal Kayak Training: Your Customized Paddling Plan will be tailored to address your specific paddling desires and your coach’s insights. We will progress you through any specific areas: navigation, water anxiety, improving your body-boat-blade synergy, video analysis, trip planning, safety and rescue, touring, improving your health, and equipment customization. Whatever you choose to work on, we will work on together at your own pace. See the web for time block options or contact us to arrange your personal training schedule. Add a partner to your plan for only 50% more!